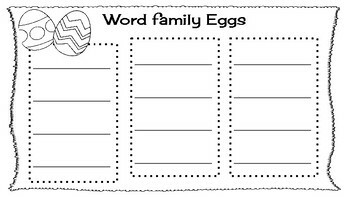 Use plastic Easter eggs to create word families. Write the onset on one side of the egg, and the rime on the other side. Kids can rotate the egg to make new words. This sheet is a record sheet to use during centers.